Hardware giant is hoping to increase its revenue per user amid stalling phone sales. 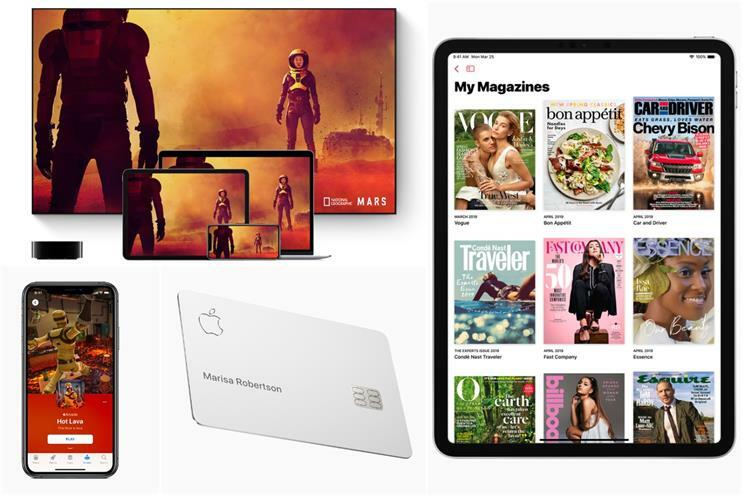 Apple’s long-awaited pivot from hardware to services was unveiled last night and includes new subscription TV, gaming, magazine and credit card sub-brands. The hardware giant is hoping to increase its revenue per user amid stalling sales of its flagship iPhone in recent quarters. IPhone sales dropped 15% in last year's fourth quarter, which is usually Apple's strongest quarter. There were little details about launch dates or prices for the new services, but yesterday’s event at its Cupertino headquarters in California was a statement of intent for the brand as much as a services launch. Apple, which first launched the Apple TV digital media player in 2008, unveiled Apple TV+, which will offer some original shows as well as subscription bundles to US TV networks such as HBO, Starz and Showtime. It is also rolling out a separate ad-free TV service called Apple TV Channels, where users can buy single channels such as HBO or Sky Atlantic. This will launch in May, Apple said. A week after Google rolled out its streaming video game service Stadia, Apple announced yesterday that it is also moving further into gaming with Apple Arcade. However, unlike Google, Apple made a point of saying that it will not hold data about how people play video games without consent. Apple will feature original games made by independent developers, some of whom will receive help for development costs in exchange for featuring the games exclusively in the App Store. The games are playable on the iPhone, iPad or Mac. The most anticipated announcement was Apple News+, a new subscription service that would increase the number of magazine and news brands available in the Newsstand. The move has been controversial because some publishers believe Apple is demanding too high a price to be featured. Apple News+ was launched yesterday in the US for $9.99 a month and Canada for CAD12.99 a month, and will be available in the UK and Australia later this year. In what could perhaps be the most lucrative move for Apple, it is also establishing its own credit card, backed by Goldman Sachs and Mastercard, which will initially launch in the US later this year. The Apple Card can be stored electronically on the iPhone or Apple Watch, or as a physical titanium card, and will offer 2% cashback on all purchases using Apple’s payment services Apple Pay.